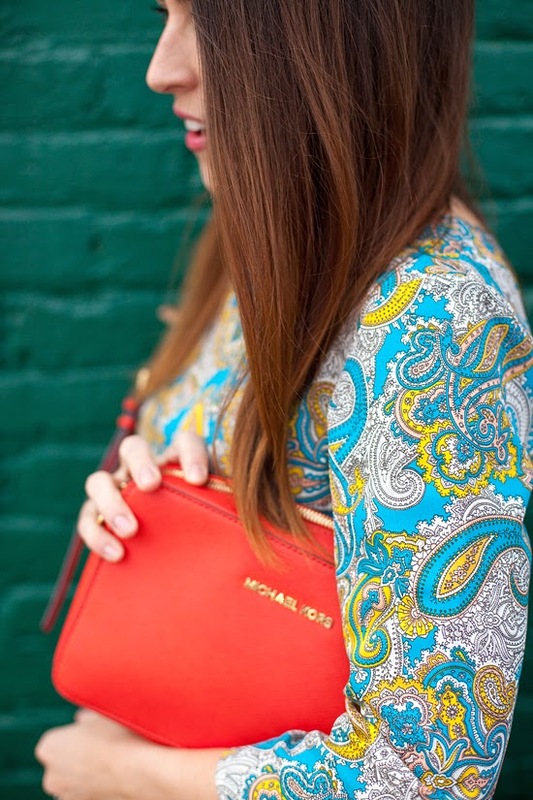 Do you have a piece in your closet that you grab over & over again for a certain occasion? This dress is my wedding season dress. I love the long sleeves, it is pretty much impossible to wrinkle, & the colors/pattern are so fun! It was the perfect dress for the rehearsal dinner during our recent wedding festivities in San Francisco. The heels are very easy to walk in & the cross body bag is the perfect size for the essentials. See how I've worn this dress 3 other times on the blog. I can't blame you for making this your go-to! It's so pretty! 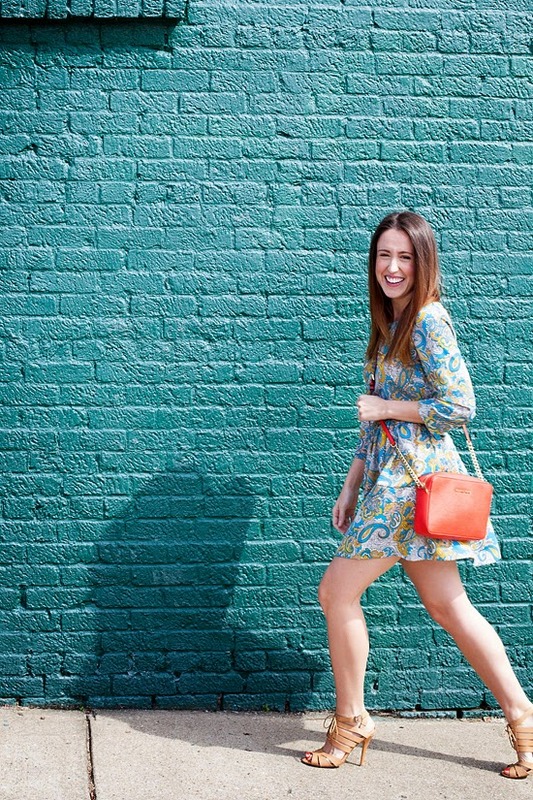 I'm absolutely loving the pattern of this dress, it's perfect for Spring! And it's Paisley! What's not to love?! Such great wedding season dress. It's easy and comfortable, which is perfect for long days or nights. Adorable! So... you made me fall in love with this dress to the point that I immediately clicked on over to ebay to hunt for it. No dice BUT I did find it in a sleeveless, pleated version that will be here before Easter (perfect dress for the occasion!) and cost me less than $15, shipping included. :) So thank you!